Plumbing is one of the systems in the house that you need an expert to attend to. Of course, there are smaller jobs you could do yourself, but when it comes to maintaining a heating or water supply system, it’s always best to call in the experts. The problem is, how do you know you are choosing the right person for the job? With so many plumbers offering their services across the UK it can be a difficult choice, so we’ve put together a few tips that should help you make the right choice, so here goes! 1. Ask Around – the first step you should take is to ask people you know, your family, friends, even work colleagues if they have used a plumber and were they good. The old word of mouth method still works when it comes to finding tradesmen, especially now you can put a message up on your Facebook page, for example, and get recommendations in quickly. You should also use this opportunity to gather all the information you can about a few potential options and make sure you check that they are fully insured before you engage them to do the job. 2. Accreditation – a lot of modern plumbing systems need special attention, so you need to know that your chosen plumber has the right accreditation and expertise. Ask to see any certificates and check the organisation they are from – a reputable and honest plumber will be more than happy to show you any qualifications they have – and be sure that you are engaging someone with the right credentials. For gas or heating jobs, you need someone with Oftec or Gas Safe credentials, as these ensure they are qualified to work on such jobs. Also see other organisations such a CIPHE, SAFEcontractor, and others, each of which guarantees the credentials of plumbers. 3. Find Out More – you always want to know a little more about anyone who is working on your property, and it pays to ask them if they are a sole trader, or if they work for a larger organisation. The distinction can mean a difference in working practices – and also in potential costs! Many people prefer to use local service providers, so here’s a good resource for finding plumbing services near you to hire that are all reputable and correctly accredited. 4. Check Prior Work – the advantage of sourcing your work locally, or through friends and family, is that you can then physically check any work they have done. If a friend has had work done, ask if you can have a look and check the standard, and when you talk to the plumber in question they will be more than happy to show you examples of previous jobs they have carried out. 5. Emergency Call-Outs – for future reference, you might want to ask your plumber if he or she does emergency call-out work. Some problems that occur in the home can be very problematic, and leaving them for any length of time may cause further damage and expense, so having a plumbers number – one willing to attend to emergency calls – is helpful. Check that they offer a 24-hour service, and make a note of their number somewhere easy to find. 6.Online Reviews – when given a recommendation, see if they have a presence on social media. If so, and you would expect any reputable plumber to at least have a Facebook page, check their page for customer testimony. You’re looking for honest, good reviews – you can tell if they have been specially created – that confirm your chosen plumber is able to carry out work to a standard you will be happy with, and it takes no time at all to check. 7. Website – does the service provider concerned have a website? Any tradesman offering professional services is very likely to have at least a basic and simple website, so check it out. Look for information on the services they provide, perhaps a gallery of work, comments from past or regular customers and more, and also check that they have prices clearly stated, and read through the terms and conditions should they exist. It’s worth taking the time to make sure things are all in order. 8. Customer Guarantees – you are entering into a contract with your plumber, and as such you need to know exactly what that involves. You want a set price, so you know what you will be paying, and you want to see the costs transparently and openly. A good plumber – or any service provider for that matter – will be more than happy to show you the cost of parts and be open about their labour charges, so you can easily get an idea of how the job is priced. Remember that, once they start work, there may be additional problems that come to light, so ensure you have agreed to be informed about these as you go along to avoid any nasty surprises. 9. 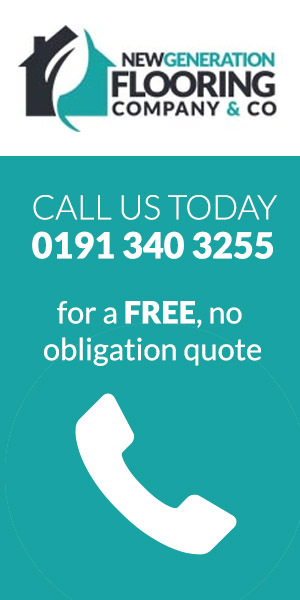 Free Quote – following from the above, you want a plumber who will offer you a free, no obligation quote, and we recommend that you get more than one – three is usually a manageable number – to compare. This is the price you will base your choice on, so see the above regards being open and honest when it comes to pricing. 10. Trust – finally, you need a plumber whom you can trust to be in your home, perhaps when you need to be elsewhere. This is one reason why asking friends and family for recommendations is a good idea. If someone can be trusted by others, they can also be trusted by you. There are other things you need to take into account – budget being one, of course, as you likely only have so much to spare – but a good plumber is worth knowing. After all, you never know when that pipe will burst, boiler will break down, or you may just need plumbing work to improve your home. Follow the tips above, and you will find a reputable plumber to carry out all your current and future work.